Leo the only Jet still on the roster from that draft. Awful Drafting, especially when we didn’t need Leo. Bobby is 100% right, any moron will have drafted Williams & Adams. Mac"s drafting has been atrocious. I would not say his drafting has been atrocious. Look around the league ... a lot of former 1st rounders being cut the past few days. I think his drafting in the first has been above average so far. I don't buy the any moron would have drafted Williams and Adams as 12 morons passed on them collectively and you still have to make the pick. Think Jax would trade Fowler for Leo straight up today?? Just because he has not come up with the mid to late round All Pro just yet you can't deem him a bad drafter. Look around the league and any teams draft from 3 years ago and you will be hard pressed to see many teams that have over 25% of their picks still on their roster. He is moving us in the right direction. Has not mortgaged our future to get one player. Made a brilliant trade that netted us Darnold. Next off season is very key. Needs to sign some high end FAs and of course add more talent via the draft. I am confident he will. Three years of Mac's drafting in 2016 5 wins 11 loses 2017 5 wins 11 loses. His drafting record his why we are in terrible shape. Our only hope is that Darnold, can turn things. around. LMAO .. you really think his drafting is why our records in 16 and 17 were losing? If so you are completely clueless or just don't watch and understand the games. Sorry, not trying to be degrading but clearly 16 was the old vet roster breaking down and Fitz coming back down to earth. 17 was a total over achievement - everyone thought we would not a win a game and to win 5 speaks to talent and character of the guys he did bring in and Bowles getting them coached up early on. For me it’s how awful he’s been in Rounds 2-4 that have made me say he’s awful at drafting. Dan Bailey was cut by the cowboys. If I was the jets I would be calling him now because I have no faith in Jason Myers. The guy misses a lot go FG. Bailey, Kikaha and Coleman should all be on our radar. Yeah it really has. Especially the trading down in 2017 to select the two scrub WRs. If we have an underwhelming I would look to move on from this regime, thank Mac for the cap space and get a guy who has a clue. For a guy with a scouting background he has been nothing shy of terrible on draft day. 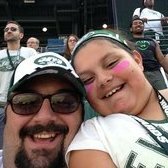 Jets are a much more attractive destination for a GM and or HC. I suggest we make the move while Darnold is still extremely young. Better to do this now rather than later.